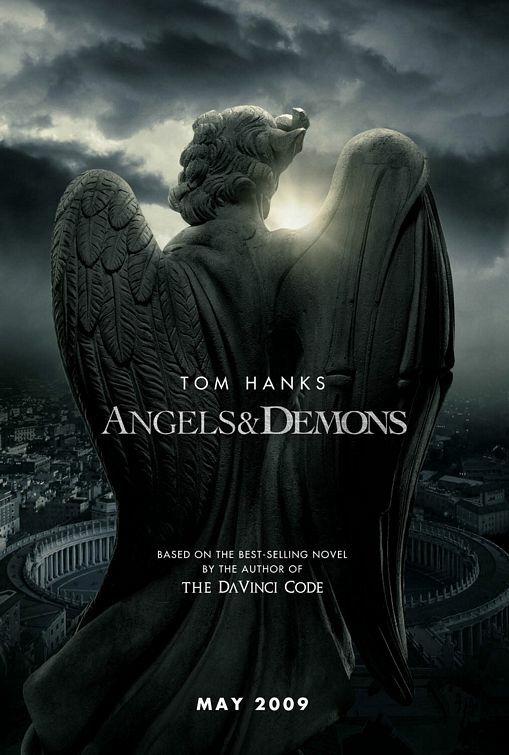 If you haven't seen Dan Brown's new movie, or read the book Angels and Demons; it's worth the ride. You all know, I'm not one to be recommending books or whatever, but this one is an interesting look at not only a good story writer, but also the way we fuse the known with the unknown to create a "new kind of history." It calls into question the church's role in viewing Science, and the story is filled with intrigue and mystery. I think the most surprising part of the film was the grace at the end. After a long 2 hours of murder mystery, political twists, and church history, the head of the college of cardinals looks at Tom Hanks and says, "I'm thankful God brought you to protect His church." Hanks looks back and says, "I don't think God brought me." and the head Cardinal replies, "Of course he did." And turned to walk away. Even after all the nasty atheistic/agnostic writings this professor of church history would write about the church, the leaders were willing to extend a grace of understanding toward him. I was relieved at the end, that it wasn't just a movie about bashing the church, but rather it seemed like the church was still being gracious to people outside it's walls. I know Dan Brown isn't writing truth, and I certainly wouldn't recommend it to fill in the gaps of church history; but there are tid-bits of conversation starting ideas. I know I'm more interested in learning of the artists who helped decorate Rome. I'm interested in how the church came to be. I'm fascinated by the underground 'secret' war between the church and science. But overall, I'm excited that the God of the Universe has given us a mind to think through these issues in order to come to know truth. It was Jesus who said, "Love the Lord your God with all your heart, soul, and mind. This is the First and Greatest Commandment." Let not your mind be taken to places of untruth for the sake of entertainment. Rather; let's allow entertainment to provoke the thirst for understanding, even if it has to do with an age old debate.